Listen up yogurt fans: the truth about yogurt has been revealed! The liquid that forms and rests on top of yogurt freaks most people out, but it's actually good for you and should not be poured out. "@ShelleyCumings the weird liquid that's there when you open yogurt is the worst thing you could wish upon someone"
"@Fridays_Child Serious question: When there's layer of water on top of your yogurt, are you supposed to pour it out or stir it in?" For the longest time, we've all been confused about it and wondered what it was. Turns out, this mysterious liquid has a name. It is called Whey, the liquid that remains after milk has been curdled and strained. Whey naturally separates and stays on top of the yogurt. The liquid has protein and a sour taste. Cooking Light suggests that instead of pouring it out, you should mix Whey in with the rest of the yogurt. Mixing it in also makes the yogurt creamier. So fear no more, because now you know that liquid in your yogurt is your friend with health benefits! Once limited to breakfast, yogurt is now everywhere as a topping, a substitute for sour cream and even an ingredient for baking recipes. However, this new craze has been around for quite some time... Read on to learn little-known facts about yogurt. It is believed that a version of yogurt was consumed by people between 5,000 and 6,000 B.C. That's because herdsmen carried milk around in containers made of animal stomachs, which curdled the milk and essentially made yogurt. The word yogurt is actually Turkish. According to certain accounts, Genghis Khan, the founder of the Mongol empire, consumed yogurt with his armies. Yogurt can help strengthen the immune system. The live cultures in yogurt can help the good bacteria in the intestines. Yogurt can actually make for a great facial cleansing mask. Try out a mask here. Greek yogurt has become an extremely popular variety of yogurt. Over a third of yogurt in a typical grocery store is now Greek. 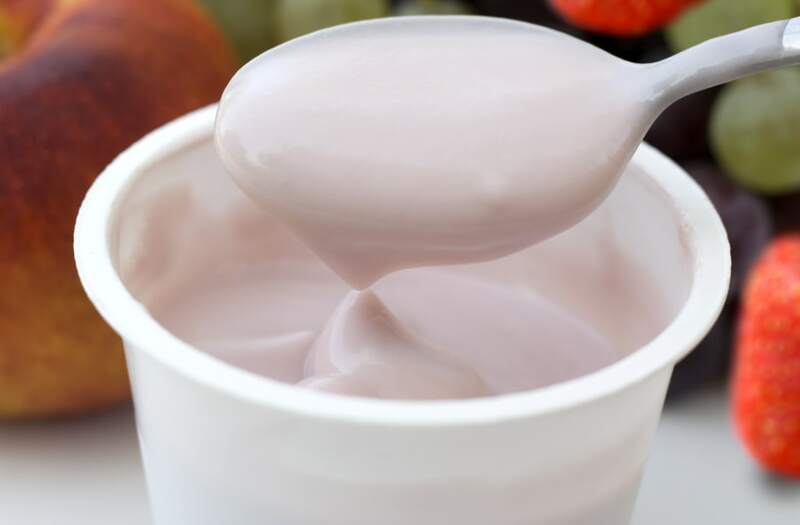 Yogurt with fruit at the bottom was invented in 1947 by Dannon, who decided to add strawberry to their product hoping Americans would enjoy it more. Between Greek and regular yogurt, Greek is a little bit more nutritious due to its protein content. Plain Greek yogurt also has less sugar. Calcium-rich yogurt could help prevent osteoporosis according to research. Yogurt actually works well as a natural cleaning product! Wipe a few tablespoons of plain yogurt on brass and rub until it's shiny! Craving yogurt now? There are many ways to incorporate yogurt into both savory and sweet meals. Read on for recipes. Papaya is a great flavor for drinks. Pepperoncini is a long, thin Italian pickled chili that give this otherwise-mild soup an appealingly tangy flavor. This moist, nutty bread is a terrific way to use up zucchini. The walnuts in the bread are super-heart-healthy, and the yogurt adds moisture without any fat. This savory sauce adds a wonderful flavor with grilled chicken or lamb. Homemade yogurt requires surprisingly little prep and keeps in the fridge for a month.